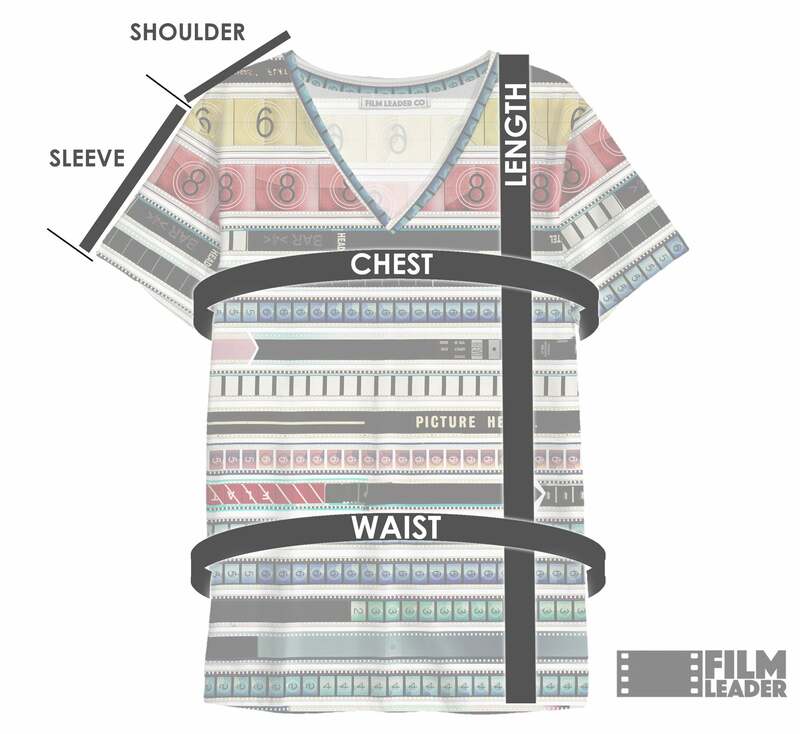 V Neck T Shirt with B&W 35mm Leader Stripes on Sienna Red - Film Leader Co. LENGTH 24" 25" 26" 27" 28" 29" 30" 31" 32"
CHEST 33" 35" 37" 39" 41" 43" 45" 47" 49"
WAIST 33" 35" 37" 39" 41" 43" 45" 47" 49"
SHOULDER 13.5" 14" 14.5" 15" 15.5" 16" 16.5" 17" 17.5"
SLEEVE 6" 6.25" 6.5" 6.75" 7" 7.25" 7.5" 7.75" 8"
Each shirt is a one-of-a-kind piece, with variations in the design from shirt to shirt. Because each shirt is made to order, it may take up to 3-4 weeks to ship.